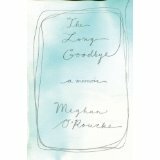 Seaside Book Nook: Interview with Meghan O'Rourke - The Long Goodbye and Winner! Interview with Meghan O'Rourke - The Long Goodbye and Winner! I am so happy to share with you questions that I was able to ask of Meghan regarding her latest book, The Long Goodye. Before I get to the interview, how many of you saw the write up in More magazine on The Long Goodbye? 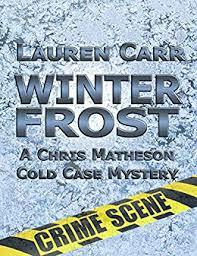 I was thrilled to they chose it as one of their monthly featured books. Way to go More magazine and Meghan! Also, the winner of a copy of The Long Goodbye is....Betty who said, "One of my favorite books was the Friday Night Knitting Club and it's sequels. 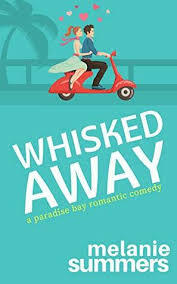 Although fiction, it follows the lives of a family where continuing after unexpected loss is hard." 1. How long did it take you to write this memoir? It took about two years total, but there were times when I took a break from writing it. I wrote it in “real time” – which is to say I tried to capture grief from the inside out, as I was experiencing it. As I wrote, and as time passed, I began to shape that writing, to add more reflection and perspective as I gained it, after two years of grieving. 2. I know just from reading the book (which I have underlined and made margin notes) so many of my own feelings felt so raw once again, how did you manage your emtions when writing, or was this part of your healing/grieving process? Yes, such a complicated question, one I asked myself a lot. I do think that the writing of the book became for me a kind of mourning ritual – a way of sifting through my experiences with my mother, of memorializing her, of trying to both hold on to her and begin to adjust to having to live in a world without her. It’s so strange, right: one day the person you love is here, and the next they’re not. It’s really hard to wrap your mind around that. How can someone be here all your life and suddenly not be? That to me seemed like a great mystery; I had to wrestle with it day after day. So, it wasn’t as if I wasn’t thinking about this, and then writing made me; I was already thinking about it all the time. And because I love language so much – I am a poet, too – I found it comforting to make beautiful sentences or passages out of the childhood memories that were floating around in my head. But I also had to write about some very difficult times, when my mother was in the hospital, or suffering. That was painful. But again the true pain was the emotions, rather than the writing – and it was my sense that the writing allowed me to face those emotions squarely somehow, and to make space for them. It allowed me to see that I was sad but also gave me the illusion that I could put boundaries around that suffering. This mind-trick was helpful. I’m sure it’s a huge part of why so many have the impulse to memorialize the dead. It is a way of remembering them and containing the loss (even if in an illusory way). 3. How are you doing today? I know I am still struggling after four and half years. Some days are good, some days are hard. I still dream about my mother many, many nights, and I miss her a lot. I also know she’d want me to thrive, so I try to honor that by thinking about what really brings my pleasure, what doesn’t. 4. For myself most days are better than others, but I miss my mother so much. How do you deal with those moments (especially when in public) when you feel the lump building up in your throat? I know what you’re talking about. I’m so sorry – of course you miss her; a mother is such a fundamental part of a life. I kept thinking of her as the shell I’d woken up in – how could I live without that shell, without that protection? In those moments, I try to connect to her, to the mother I knew, who would want to comfort me. And just remembering the things she’d say to me (“Lighten up, Meg!”) is soothing. Sleeping through the night! No, right now, I’m trying to just learn to let go of this project; it took everything I had, so I’m trying to fill the well back up. We’ll see what happens. I really loved “A Grief Observed,” by C.S. Lewis, about the death of his wife. It’s sad, and strange – it really is just the notes he made to himself in private after her death, to try to understand it – but quite articulate. But I love all sorts of novels – right now I’m reading Christina Stead’s The Man Who Loved Children. I recommend Tove Jansson’s The Summer Book and William Maxwell’s They Came Like Swallows. They’re both about loss, but they’re so beautiful, they make loss feel coming in contact with humanity, and it reminds you of the joy and love that are the flip side of loss. Meghan, thank you so much for your time and your wonderful book. Thank you for posting this interview. I really loved this book too. It's been almost 13 years since I lost my mom, but it's stil incredibly hard. I'm going to get this book this weekend. I'm actually hoping it's available as an audio.